The brand new video for “Gone” is up now! Watch it below. Our record River Child is available now! Get it at iTunes, Amazon, or your favorite indie record store. We’re excited to announce that our music video for “Gone” will be out early next week! In the meantime, check out this behind the scenes cut while you wait on the video. Our second installment from Evolvement Radio! Check out our acoustic version of “Voodoo Queen”. We had a great opportunity to sit down and record a couple of acoustic songs with Evolvement Radio! Here’s the first one, be on the lookout Monday for “Voodoo Child”. Check out “Payback”. 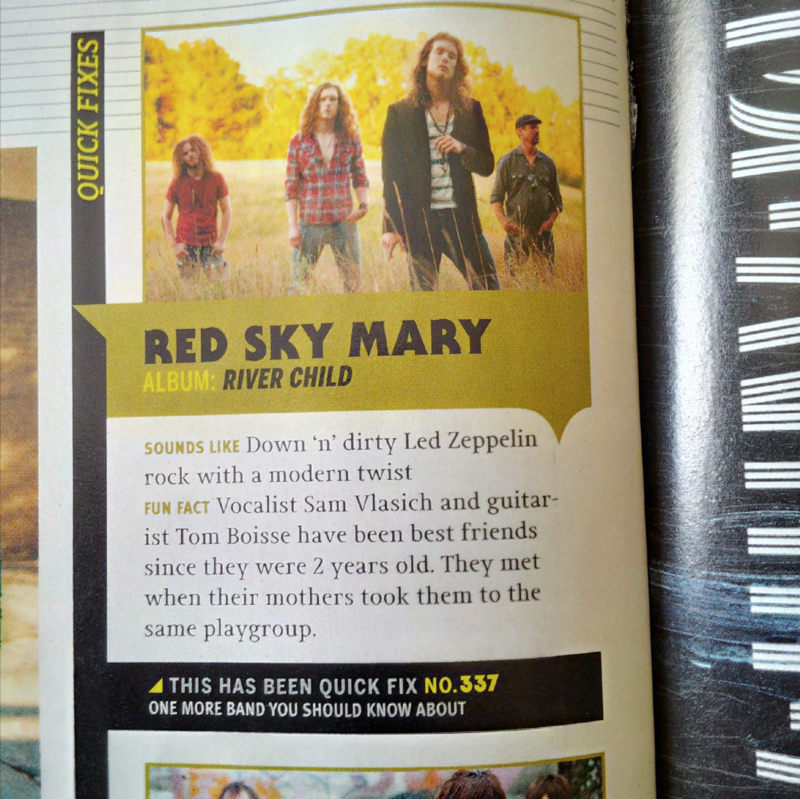 Red Sky Mary has a little blurb in the current issue of Revolver Magazine! Pick up the Oct/Nov issue now to see us in print. Photos: We opened for Lynyrd Skynyrd & Blackberry Smoke! Thanks to Mark Myers of Heathen Hill Studios for the great photos! And thanks to Lynyrd Skynyrd and Blackberry Smoke for having us. Check out all the photos by clicking here. Our Album “River Child” Is Available Now! We’re pleased and proud to announce that RIVER CHILD is officially available in stores now! Get it at Amazon, iTunes, or at your favorite indie shop. Or, get the physical CD here. © Red Sky Mary. All rights reserved.